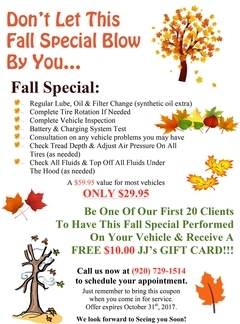 Just remember to bring this coupon when you come in for service. Offer expires October 31st, 2018. We look forward to Seeing you Soon!